You are currently browsing the tag archive for the ‘dee allen’ tag. Local activist and poet Dee Allen was singled out and arrested while participating in the July 30th counter-demonstration against the Minutemen in San Francisco. Dee is now falsely charged with battery against a police officer, a charge punishable by 6 months in jail or a $2000 fine. 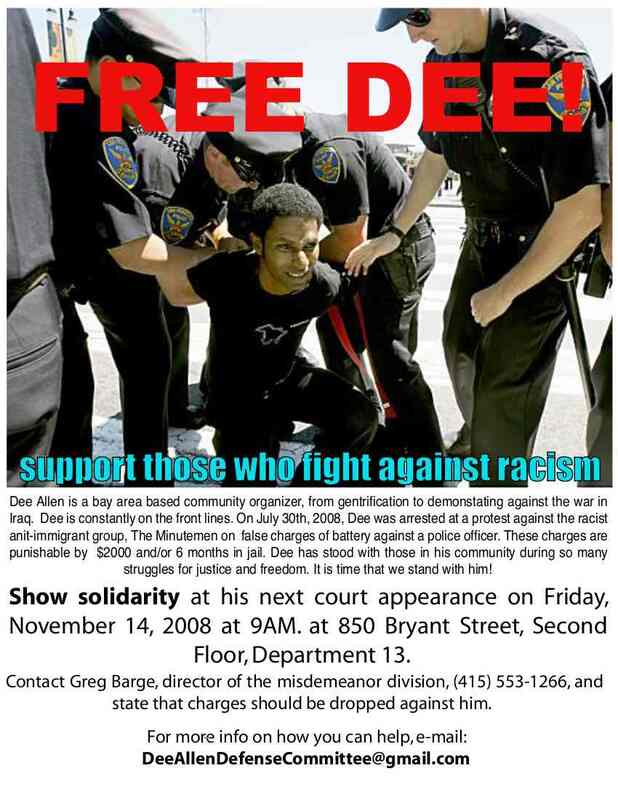 Please support Dee by showing solidarity at his next court appearance, November 14. Please write DeeAllenDefenseCommittee [at] gmail.com for more information.